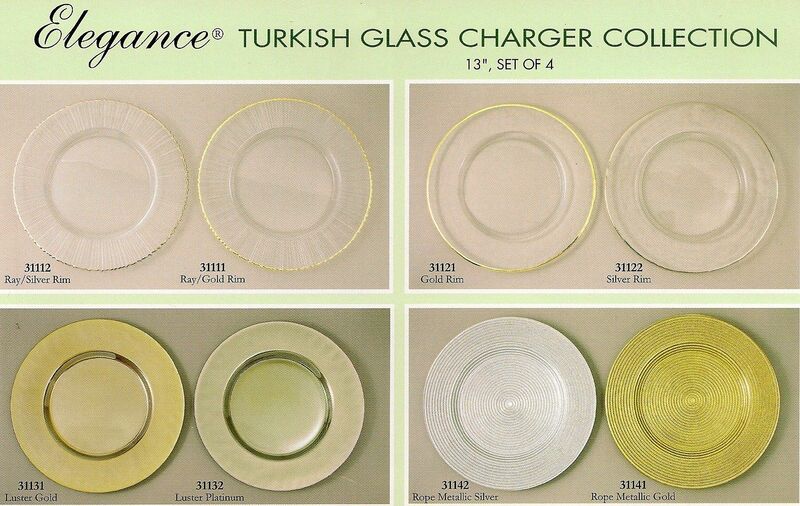 Beautiful Turkish glass chargers. 13" dia. 4/set (The 4pc set is of the same style, cannot mix the 4 chargers within a set). Ray/Silver or Gold Rim, fluted/ribbed rim that looks like the rays of the sun. Clear glass, with either silver or gold rim.